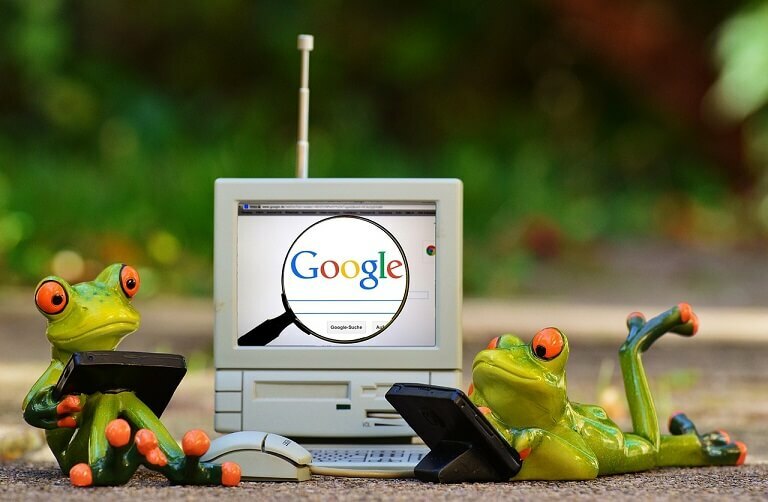 This post is written very carefully to list the best websites to play Games online! It is not new that people, when getting bored, would like to spend time playing their favorite games online. With new games making to the headlines every other day, gamers always look to experience different every time. 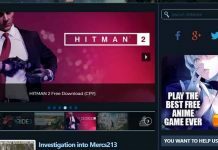 Here is the list of top 28 websites where you can expect to play some of the latest and interesting games online, without downloading and no sign-ups required, you can play directly online in your Mobile or PC for free. We have gauged these gaming platforms based on their Global ranking from alexa.com, popularity, and range of games they house. I also wrote the previous post on Websites to download games for free. Popcap is a well-known game developer which is famous for the game plants Vs zombies and many other adventure games. Pop up advertisements will not annoy players alike other gaming websites. Games can also be downloaded for free. Y8 offers games of all genres including arcade games, action games, adventure games, shooting games and so on., Y8 has over 75000+ games to be played online for absolutely no charge. 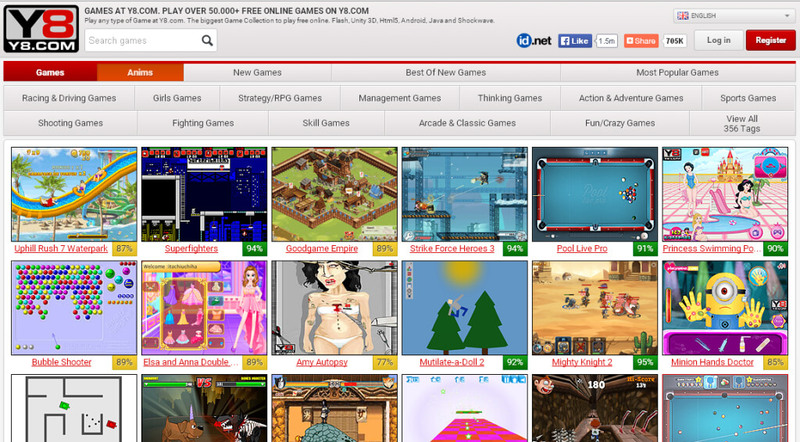 Miniclip is probably the most popular of all online gaming platforms. One can find more than 30,000+ games to be played on Miniclip, ranging from Action to racing, arcade to multiplayer games and more. Miniclip provides many games designed based on popular books and game shows like game of thorns. It is good for playing 3D games and soccer games too. Armor games offer many action games and sports game, but, action games are dominant. Other than action games, it is best for playing skills and puzzle games. Armor Games offers free online games featuring shooting games, puzzle games, strategy games, war games, and much more. 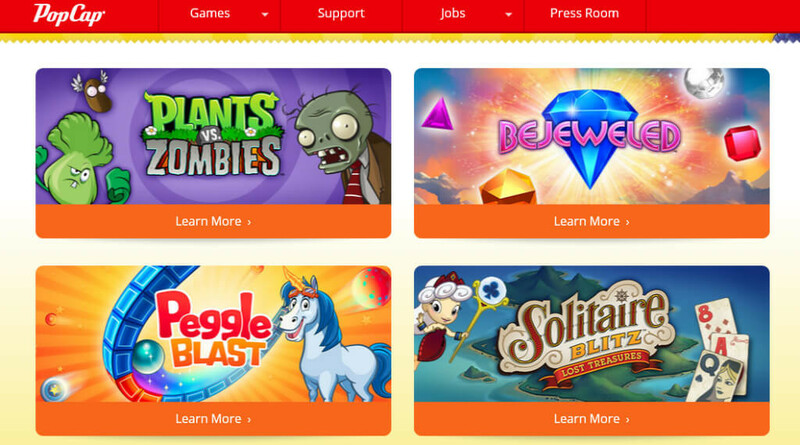 Kongregate offers more than 100,000 free online games for players. It also shows the review of the users. Kongregate also supports game developers. It also provides best tech support for players. Game freaks should visit this gaming site at least once. With a wide range of best shooters, role-playing games, MMO, CCG, tower defense, action games and more, one can simply never get bored again. As the name suggests it will make players fall for it. 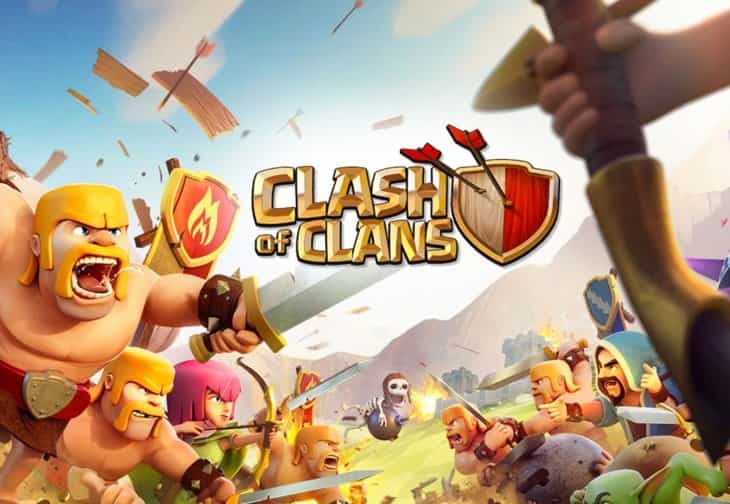 If you are fond of playing action and sports game, then, addicting games will satisfy your game thirst. Games on AddictingGames.com are really addictive. Find some of the awesome racing, strategy, shooting, action and puzzle games on this online gaming platform. No one could stop playing in New grounds. Some gaming website limits the gaming level, but, new grounds allows the user to complete a game by unlocking all levels online for free. It also offers games based on movies like batman and British minions. Newgrounds is a FREE online gaming platform with over 2000+ games. It has games from almost all genres including – Action, adventure, puzzles, simulation, sports, strategy, arcade and more. The website also has a very responsive community and tutorial sections. Kizi offers a wide selection of awesome Fun games on the web, including exclusive Kizi games for absolutely no charge. GameTop is probably the number one gaming platform to offer games downloads legally and with premium full version PC games. Additionally, one can play online games on Game Top for FREE. Play from a wide range of FREE flash games on Bored.com. Snooker, Fishing, Driving, Puzzles, Zombie games, Solitaire are some of the many games on this online gaming platform. King offers many saga games like candy crush saga, alpha betty saga, farm heroes saga , and many other similar games. Candy crush saga lovers should try all saga games in king and I’m sure they would love those games. Girls go games is a gaming website developed especially for girl kids who are interested in playing games. It offers games like shopping, cooking games and many pretty games for girls. Girls Go Games provides online games that are tailor-made for female gamers in mind. One can play from a plethora of Games on dress up, beauty, cooking, farming etc on Girls Go Games. AOL Games, although hosts a small no of games, the games are a must try. Board games, Casino games, Card games are some of the gaming genres to be tried on AOL games. Additionally, AOL also has an editorial on gaming for good reading. Agame.com offers free online Action games, Racing games, Sports games, Adventure games, War games, pirates, cowboy hunter, knighttron, fashion designer, and traffic slam. FrivClub offers HTML5 and WebGL compatible flash games for its visitors for FREE. Puzzles, Sports, Girls play are some of the kinds of games one can play on FrivClub. 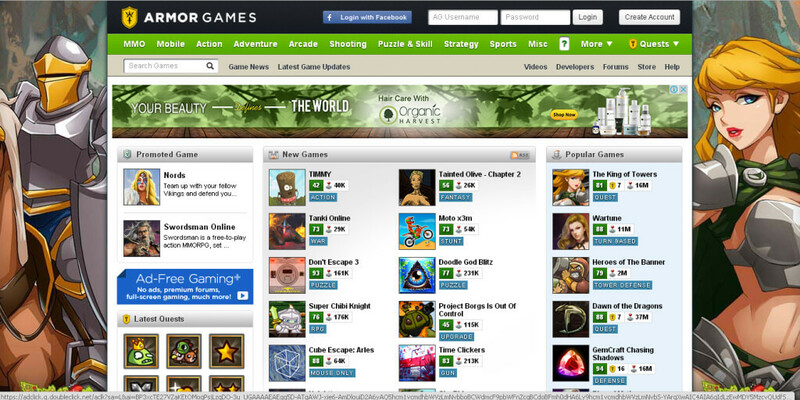 WillingGames hosts over 10000+ games online for free. On this website, one can play cool girls games, cool action games, cool shooting games, and more. In addition to playing one can also submit games for others to play. Shockwave is a gaming website where a user can either play games or download them for FREE. Jigsaw, Puzzles, Word Puzzles, Strategy, Matching, Racing, Time Management games, Cards & Board games, Adventure, Action, Shooting games are some of the genres to be tried on Shockwave. Crazy Games houses some of the best high-quality browser games with new additions almost every day. It is a FREE platform with a great assortment of genre games. Gator Games is one of the fastest and easiest to use online gaming platform with an extensive collection – Board Games, War Games, Card Games, CCGs & TC, Magic the Gathering, Pokemon, Yugioh, CMGs, Heroclix, Heroclix Singles etc. FRIV houses an extensive collection of FREE online flash games. On Nitrome one can get away from the usual by indulging with their free online flash games, retro games, arcade games, puzzles games, action games, skill games and more fun games. POGO in addition to its wide range of Flash games also hosts Hasbro games such as RISK, Scrabble, Yahtzee, Monopoly and more. It’s a FREE online gaming website. A10.com has awesome free online, full browser games including racing, action and multiplayer games. MoshiMonsters is a website with games specifically for kids in the range of 6 to 12 years. It has over 80 million registered users where one can select their own monsters to be part of the games. Moshi monster games are both web browser and Nintendo DS compatible. NonDoppler is a completely FREE online gaming platform with tens and thousands of games from across genres. MyHappyGames is a platform to thousands of games that can be played on web browsers, Android and iOS devices. Action, Multiplayer, Driving, Cooking, Adventure are some of the game genres to be found on MyHappy Games. It’s a FREE gaming platform. Who doesn’t like playing games? Gaming is One of the best things to do when you feel bored. The gaming industry has been developed to a greater extent. It allows the user to play games online for free. Here are the best 28 websites to play games online where you could play adventure, action, 3D, puzzle, maze, and games of all genre. This is great! I tried many games here and thank you for sharing this. These online game websites are really cool. Need more online games like these!